Loves! How was your three day weekend?!? I was contemplating posting some pictures yesterday of people in labor, but then thought that would be a) mildly inappropriate and b) completely misleading as Labor Day is not all about that. It's the thought that counts. Today we are chatting about a subject very near and dear to my heart: layered rugs. I will tell you this, it isn't for everyone. Some people find it to be a waste of money and unnecessary. I find it to be a major eye catching trend that is a must and is here to stay. This has been my new go to in design to add that unexpected element and make the room feel like the prettiest girl at the dance. It gives you the ability to include several styles to balance the space AND most importantly, it gives you that collected and eclectic feel that everyone is looking to achieve. Lemme show ya. How could you not adore this space? For serious. Super glam eclectic I tell you. A neutral hue geometric rug layered with a fur rug? I think yes. Hello eclectic. What is not to love? 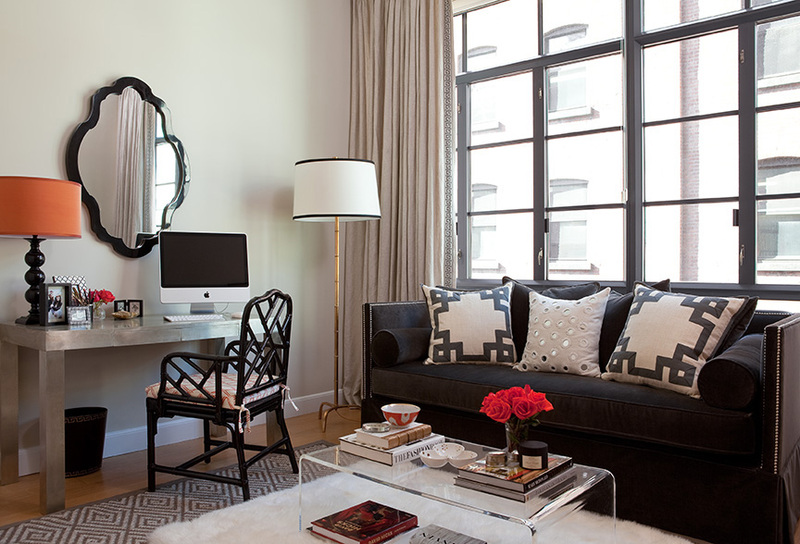 All of the bold colors and patterns are so well incorporated into this design. 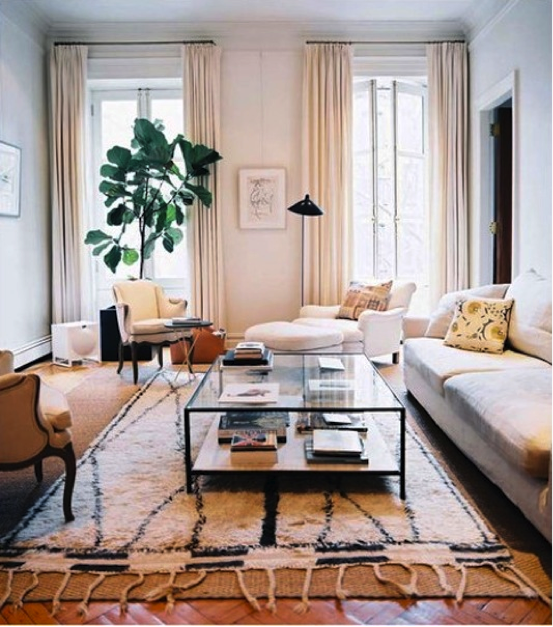 Instead of using two similar shaped rugs in different sizes to layer, the designer utilized a runner on top of a sisal rug. I adore it. That is what I call thinking outside of the box. Super eclectic space. 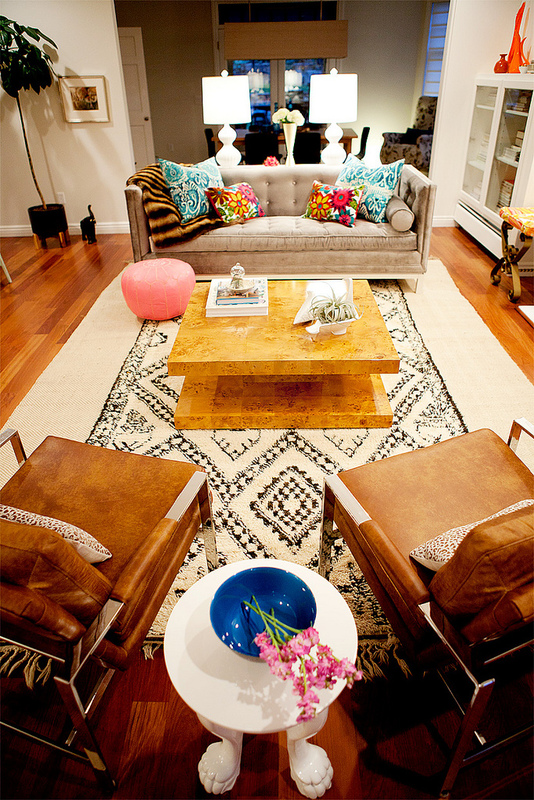 Totally digging the Moroccan vibe brought to the design via the rug and pouf, obviously. Great use of color and pattern mixed in with neutral pieces. Ahhhh you know I love me some monochromatic and I also definitely favor this room as we have the exact same light fixture. I totally play favorites. Who spies that incredibly adorable dog hiding behind that chic bolster? Let's get to the subject at hand here. Can't resist a cow hide rug especially layered upon a grass fiber rug. Gorgeous light and airy space. Before we get to the business, who else is salivating over that chandy? Duh. Here they used a large patterned neutral rug to layer over another neutral herringbone piece. Love the mixing of patterns, always and forever. A different take on the layer. On each side of the bed as a separate runner. Super genius. Super perfect. Great space. Great color. Great light. Great floor art. I know one thing is for sure, I will never ever ever quit Persian/Turkish rugs. This is a perfect example as to why. I seriously have coveted one of these Moroccan rugs for our home for some time now. Not sure as to where I would put it yet, but it needs to occur. I am considering stock piling rugs in our shed and "saving them for later." I deserve it. Just look at it doing its thing in this space! How can you disagree? And a little layering of my own. In addition to the many hats I wear, I am acting as a stylist for Richmond Home Magazine. This snapshot is of the newest September/October issue and I am definitely layering it up here, I tell you. I know some of you are dying to know, the lantern is from none other than Shades of Light. Get it while it is hot. And what you all are probably dying to know about...the Korean Cowboy. So our weekend guests introduced me to this life changing music video by a Korean pop star, PSY. You have to watch this. Trust me. I am not quite sure what he is saying, and I am not quite sure that I care. It is life changing and I am going around daily dancing like I am riding a horse. If all goes well, you will be too. I like the layering examples you show. 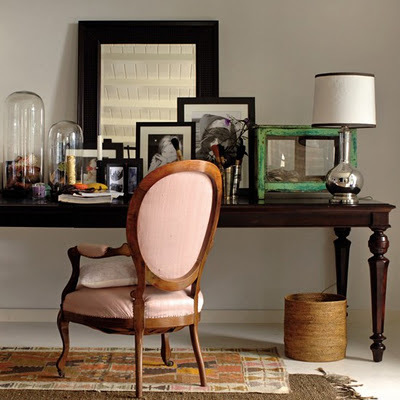 Too often I have seen "wild" rugs layered which caused a space to become too busy. Love me some layered rugs! I am layering left and right at our house lately! 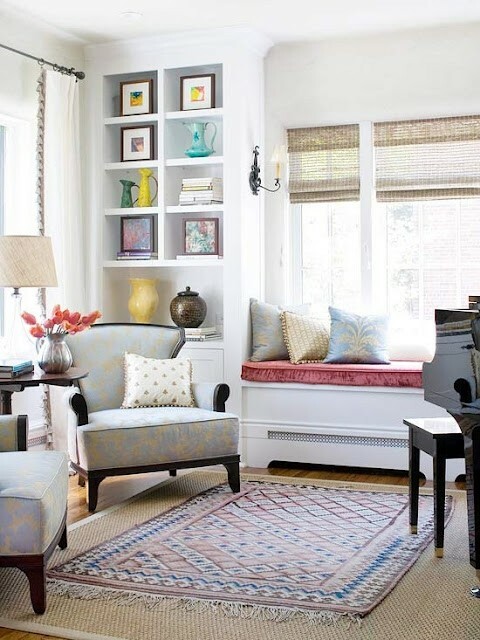 Never saw this trend before with layered rugs, but I love it, you found some great examples! I love your "Global Graphics" styling. I have been layering rugs forever and what's up with guys yelling about it. I don't think they like it kinda like painting over wood paneling. I absolutely adore this idea!! Now I just need hardwoods instead of grotesque carpet throughout my rented apartment - blah! Love this look! The layered runners are brilliant! I saw these photos on Pinterest and rushed right over... IN LOVE! Oh my gawd. That video is making my life. 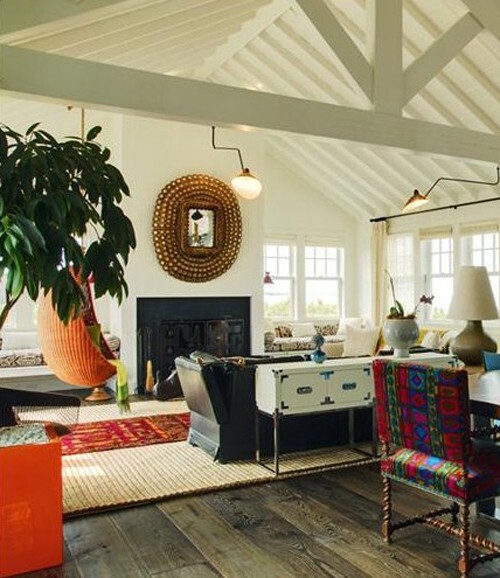 Totally a sucker for this look...if it's layered on top of a seagrass rug! ok I am dying laughing about the pictures of people in labor now that would have been funny- especially if they were water birth pictures! Love layered rugs for realz. Great images! That first room is my fav - love all the layers! Love the layered look and use it as often as I can! I hate to say I must haven been out of the loop though when it comes to hearing about the Korean cowboy- OMG! Love it and yes, who cares what he's saying- I wanna dance! Living room looks so fascinating to me. I these ideas and decor. The rug in the living emits glow around the space.